Salsa dancing and other Latin music at Vinnie’s Bar & Grill in Concord, every Thursday night. Free street parking and a full bar. This place gets packed!! Salsa night at Vinnie's brings out a huge Latino crowd, which is great because there are plenty of people to dance with, but it can get so crowded that you can barely walk around, let alone dance. On the plus side there's no cover and the drinks are affordably priced, although it can take a while to get your drink at the bar because there are so many people. The music is a mix of salsa, bachata, merrengue, and reggaeton, but the small dance floor doesn't provide much space to dance. Vinnie's is a good place to go to if you just want to take a free salsa lesson and grind with people in a night club style atmosphere, but as far as actual salsa dancing goes, it's hard to do much more beyond the basics. Night club atmosphere, very busy place (especially at the bar) around 10:30pm-2am. Good DJ and lots of dancing. Variety of Reggie, Salsa, Bachata, and contemporary music.Gets quite crowded, hot, and music is loud. Some good dancers. Casual place with a separate pool room. Free parking, lots of nearby restaurants, and very close to BART. I finally had a chance to try this place. It was packed. I noticed good dancers on the floor. Various ladies were salsa dancing with class. DJ was playing too much bachata in my opinion. Not a problem until he cut 2 good salsa songs in half. Wth! This is the tall DJ wearing glasses. Come on dude! I understand bachata is nice. But you don’t mess with salsa! I wanted to give this place 5 stars but this DJ took it and cut it in half. Hi Gary, I have been going to Vinnies on Thursdays every week for the last 6 years and would like to inform you that the tall DJ with Glasses, DJ Ron, is just a guest DJ, and a Champion Winner Bachata Dancer. and instructor, who also DJ’s. But, he is not the regular DJ. You must have come on an off night, or a night when the regular DJ, Eddie, who does not wear glasses, allows guest DJs a chance to do their stuff. He is a very generous DJ and allows other DJ’s to provide a variety of music to his patrons. The serious dancers, always come at 9 pm, and we all leave by 11 pm, because the crowd changes at around 10:30 pm. DJ Eddie, only plays Salsa from 9 pm to 10:30 pm, because that is when the serious salseros come, so that they can have the dance floor to really dance. At 10:30 pm, the younger crowd who dance more Bachata, Merengue and Reggeton come, and the music changes completely. This way everyone gets a chance to dance their favorite music. Don’t get me wrong, Salsa is played the whole night, but the music is diversified to please the young crowd. 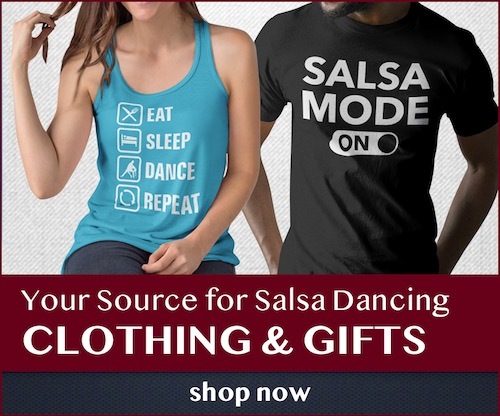 One of the things I like about Vinnies, is that since the majority of the dancers are Latinos, the dancing, is more street Salsa, then structured Ballroom salsa that you find in so many other places. This is one of the few places where you will find more street dancers,than ballroom dancers! You should give it another try, but come at 9 pm so you can really enjoy Salsa dancing. I think you will be a lot happier. This place gets PACKED with a wide variety of people from 10:30pm – 2am. Serious dancers should show up early (around 9pm) and enjoy the allotted space while it’s available. The first thing you see as you walk in is the dance floor… you’re on it… try not to bump into anyone. Nice place, okay crowd, and good drinks. Not a bad Thursday night hangout. Love this place! Been going for the last 2 years every Thursday! Great salsa dancing for all ages! The over 30 come at 9pm and the under 30 come after 11pm. So we all get what we want with DJ Eddie Torres, the best DJ in the bay area! Casual attire and great cheap drinks! The Bar staff and Security staff are the best in town! Can’t say enough good things about this place! I was here last night and it was a lot of fun! Very open and friendly place, no dance snobs or cliques. DJ played mostly salsa and dominican bachata, with a few merengue songs. I haven’t been here in over a year and it’s really changed. There’s a brand new hardwood dance floor which is very clean and nice, and the dance floor is more than double the size that it used to be. There is a mix of social dancers who are beginners/intermediate, and non-dancers just there to hang out together. There is easy free street parking outside, admission was $5. Drinks and bottled water are reasonably priced, and there is a free-water station with little papers that you can fill up and drink out of on the side of the dance floor in the hallway by the bathrooms. Bathrooms are well maintained and there is a patio in back where you can go outside to cool off. I went with a beginner friend of mine and he had a good time and really enjoyed it. Living in the east bay this place is definitely a fun viable option for weeknight salsa dancing! Beware the dish washers come and tell you this table is reserved at 10pm,it”s first come first served, tell then no its not, go talk to management, as they take money from people and say we”ll reserve them a table, they tried that on my I went and talked to Russ and he said vinnies does not reserve tables, so beware of those dish washers. but vinnies is a fun place. Just FYI- I just called to see if I could reserve a table for my meet up group (30+ people but we just want one table for a few to sit) and the lady who answered the phone said yes and took down my info (no money exchanged). So it appears they DO reserve tables, however it doesn’t sound on the up and up the way you were treated that night. Love this place, but it does cost $5.